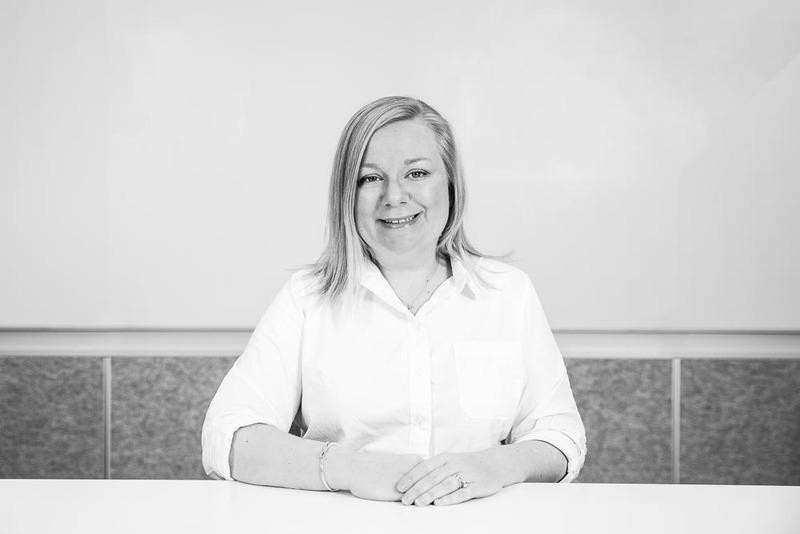 On a recent Called to Coach, we spoke with Emma Cocilovo, Head of People and Development at St George Community Housing (SGCH) in Sydney, Australia, about her extensive experience with Q12 and CliftonStrengths in for-profit, government, and not-for-profit settings, and how she uses these tools in her current not-for-profit organization. SGCH provides housing for more than 8,900 people in 4,700 properties across the Sydney metropolitan area. SGCH's mission is to develop and manage sustainable, safe and affordable homes and to work in partnership to create vibrant, inclusive communities. Host Jim Collison: Anne Lingafelter is our host today. She works as a Learning Consultant at Gallup, out of our Sydney, Australia, office. Anne, welcome to Called to Coach. Guest host Anne Lingafelter: Thanks, Jim, it’s great to be here. I was saying how much I’m enjoying your Q12 Called to Coach blogs -- that’s a big “thumbs up” from me. I am very proud of the Australia coaches who have come on this show -- I think we have put on some masterful shows. Today is absolutely no different. Emma Cocilovo is a certified Strengths Coach and has been working with Q12 and engagement for well over a decade. She’s done that in corporate environments and government environments, and now for a not-for-profit. I have seen gem after gem after gem in my show notes that Emma has incorporated over the past decade-plus. Emma, welcome to Called to Coach. Really happy that you’re here. Emma Cocilovo: Thank you so much for inviting me. I’m really excited to be a part of it, and I genuinely love talking about this material. AL: The not-for-profit that you’re working for is a community housing organization in Sydney and that you’re developing and managing sustainable, safe and affordable homes, and working in partnership to create a vibrant and inclusive community. Obviously the not-for-profit space has some unique challenges, and I’m sure we’ll be able to address those. But I want to go back to the beginning and talk about how you first came across the Q12 instrument. EC: Absolutely. So I was first exposed to the Q12 early in my career, when I was working as part of a large financial services organization, and we rolled that out as our annual employee engagement instrument. And I instantly connected and related to it -- it was simple and easy to grasp, but yet short and succinct. It was something that could be a pro forma for leadership and team membership. So soon after we rolled it out, I took a role in which I could be working with it a lot more. And I was responsible for implementing the Q12 across the organization. And that’s when I became more deeply immersed in the theory and got to spend a lot of time with Gallup team members, who were generous with their time and expertise. And we implemented the Q12 on a large scale, with thousands and thousands of employees. And then we rolled out the action planning, which was exciting. I was involved with that for several years and really enjoyed it, and could see the tangible benefits and how Q12 became part of the culture and vernacular of the organization. And I’ve been a passionate advocate ever since. AL: How does one person roll out Q12 across an organization with thousands of people? How did you scale it? EC: Things back then were different to how they are now. So we had a team and Gallup had a team to ensure that we were touching every part of the organization, well before it was more easily accessible online. We issued paper-based invitations and used Excel to build the masterlist from scratch, but we saw that other organizations overseas were using it with great success. And that spurred us on. In my current role, this is the second year we’ve been using Q12, and it’s phenomenal the way the portal and online access and administration of the survey is possible. And that’s been a fantastic experience. AL: Now that we have these technology options, do you find that there’s any resistance within your team to engage with the platform, maybe for people who aren’t tech people? EC: We are a tech-savvy organization and are investing a lot of money in our IT infrastructure, so our team members have been excited about it -- we’ve had a 90% or 91% participation rate, which is fantastic. Next year, we’ll roll out manager access to the survey, which was a deliberate strategy. Year 1 was increasing awareness and familiarity with the survey; year 2 was rolling out more data on granular, team-based outcomes; and year 3 will be where we deploy the platform to all managers so they can see their history and manage their conversations and access those resources. From my perspective as a “super user” (that’s what I call myself), the navigation through the platform, the ease of customizing the scorecard is really fantastic. And I absolutely love that soon after completing the survey, generating the reports was almost instantaneous. And I feel that closing the gap between when the survey is administered and when we share the results -- and making that as close as possible -- is really powerful and engaging, and helps us maintain the momentum. AL: Is that because people are hungry for the results after they’ve taken the survey? EC: Yeah, absolutely. We work in a fast-paced environment. We’re always asking our team members for feedback, and wanted to run the survey and close the gap quickly, so there was no opportunity to lose momentum. And having the results back quickly is a part of that “instant gratification” culture that we experience with social media and other technologies. So closing that window has always been important for me, and now the window is really “tight,” so that’s really good. AL: How do you present the report and the results? EC: This year, I pulled the reports and turned them into a presentation for our CEO and executives, to give them that “first look,” before giving them to the divisional heads and then breaking them down to a more granular level. So it was really transparent, and we achieved a significant increase from year 1 to year 2. The first year, there was a fantastic visual diagram that captured our Engagement Index, including the percentage of employees who were Actively Disengaged, Not Engaged, and Engaged. And it was a really confronting image, and I knew people wanted to see those colors again and the shift from year 1 to year 2. AL: I talk to a lot of clients who say they should be measuring for only one year. But that’s only about getting a number, not about trying to do something to change the number and create a more engaged culture. What was the response of the executive team to your presentation? And did you try to connect the dots or did they do that? EC: Their response was great -- smiles all ‘round. We did have quite a discussion about what we thought had contributed (to the increase). We’re actually implementing a project about visual management boards and regular huddle meetings, which we think have had a significant impact. We call it our “operating rhythm” and it drives accountability and clarity. I think that has had an effect on expectations. We’re also improving our technological services and framework, and that is having an impact on materials and equipment (Q02). Certainly, recognition at a local level -- managers are embracing and stepping into that 7-day framework. We have a number of more structured reward and recognition initiatives, but we’re beginning to understand much more about local, real-time feedback that’s closest to the action. So I believe a combination of factors have come together at a corporate level and at a local level that is the reason for the increase. We’re also going to ask team members what they think has contributed to the success, and to share ideas and best practices across the organization. AL: I like the transparency of the process, which is different from what I see in many organizations. How do you establish trust to get that level of transparency? EC: We invest a lot of time and money into leadership development. We build strong and trusting relationships through true partnerships. Any of us can join any team’s huddle and see their achievements and challenges. One question in year 1 that was a shock was “coworkers are committed to quality.” So the partnering is something we’ve been working on a lot since the first survey -- and we say that is the pathway to success. In so many organizations I’m familiar with or have worked with, we’ve always complained about silos, and we’re trying to prevent silos from being formed here and breaking down those walls through equal and trusting partnerships. AL: In all of the environments you’ve worked in (large corporation, government, and now, not-for-profit), how do you influence your team -- given the limited budget and resources of a not-for-profit -- to see that this is a “need-to-have” and not a “nice-to-have”? EC: The Q12 is part of what I really believe in, because I’ve personally experienced the benefits and seen the effectiveness of it. We’re in a medium-sized organization and have grown rapidly, so we’re at a great point in our journey, where the benefits of having an engagement instrument like this are really clear. I’m really fortunate that our executive and my peers are really supportive of and interested in this instrument. And the feedback on the tool is great -- that it’s simple and easy to grasp and refer to every day. You can as a leader or a team member reflect on those 12 questions every day and ask if you’ve done everything you can to influence your team members’ feelings and your own feelings about it. AL: You lead a team of 8 specialists, and how many staff do you have? EC: About 180, and we’re actually opening a new office and will have about 30 people there, so we’re creeping up over that 200 people headcount. So we’re growing and evolving and experiencing significant transformation. And the government is transferring management of their social housing properties to the community housing sector. AL: Can you talk about the device you use with your respondents to make sure they take the survey? EC: We’re at 91%. Last year, we distributed a chocolate bar to each person and encouraged them to take a break and do the survey. We also did a “pulse check” survey in January, between year 1 and year 2, to test whether our action planning was successful. That Q12 survey had an 80% response rate and showed an increase in engagement, which increased even more in the June year 2 survey. AL: Tell us about your pre-survey communication. EC: Our board, executive and CEO strongly support this activity, along with our general managers. So they reinforce the importance of the survey. Last year, we were deliberate and did not communicate or educate much about the survey, but we did provide information on what the questions are and some information about Gallup. We wanted to make it a pure, authentic and accurate outcome. Afterward, we talked to them and asked what factors they considered in making the responses they did. It wasn’t surprising to me that, hands down, Q10, the Best Friend question, generated the most “chatter.” So now, familiarity with the questions has increased. AL: Do you have any advance communication with your managers about the Q12, asking them not to stand over people when they’re taking the survey or tie remuneration to survey results? EC: We haven’t needed to do anything like that; integrity is one of our organizational values. I haven’t had any concerns about that. And we don’t tie this to remuneration. We want to ensure that it’s true and authentic and valid, and that we respond to the feedback we get and view that as a gift. I encourage people to take the results seriously, but not necessarily personally. AL: Last question on the Q12. Have you ever had any studies done around the Business Impact Analysis and the impact of Q12 scores on business outcomes? EC: In financial services, we saw a lot of correlation between customer outcomes and employee engagement. The business case and the research Gallup has produced over many years is reassuring. We haven’t done any direct analysis but believe we’ll be able to do that shortly. I see engagement as the big picture, and if we focus on that, the rest of the outcomes will be delivered. AL: You are a Gallup-Certified Strengths Coach and I want to talk about your strengths and how you’ve brought strengths into the workplace. What are your Top 5? EC: My Top 5 -- my first one is Communication. In the Insights Cards from Gallup, I describe myself as an “expressive storyteller.” I love words and reading, and I live in language. My second talent is Ideation; I’m a creative brainstormer. I like to be close to a whiteboard and love supporting teams with action planning. My No. 3 is Connectedness -- I see myself as a perceptive communitarian. I believe in fate and that people come into our lives for special reasons. Fourth is Empathy -- I’m an intuitive listener in my role in HR. I think truly listening to others deeply is one of the most privileged and respectful things we can do. My No. 5 is Positivity. I’m a generous encourager and feel there is good to be found in every situation if you search enough for it. My personal journey with CliftonStrengths started over 12 years ago. When I did the assessment and read the report, it confirmed what I already knew about myself but put it in a framework that made it valid. It triggered a process of deep self-discovery for me. And from then on, I became discerning of my efforts in my career. It was really important for me to find roles and opportunities in which I could use my strengths. So it’s powerful at a personal level, as well as at a team level. My husband and I have three daughters -- ages 7, 12 and 15 -- and the older two have done the profile and it’s changed the way we parent. I think it’s hard for young people and I want my daughters to feel that being who they naturally are is enough -- and it’s more than enough, it’s awesome. My husband and I use the knowledge we have about their profiles and their unique and special differences and commend them for those things. And I see that as a wonderful way to parent. AL: What about the workplace? How have you brought strengths into your current (and past) workplaces? EC: Since I was introduced to it over 12 years ago, I’ve taken it with me everywhere. But what I’ve been doing here at SGCH is a bit different. I wanted to introduce CliftonStrengths in a safe way, and in a combination of “push” and “pull.” So in my conversations, if there was an opportunity to suggest CliftonStrengths, I would do that. And I would buy a book and give that to the person. And that was like planting a seed. And it would spread and someone else might ask about it; and then a team manager would ask about it. So right now, we’re about 50% of the way toward rolling out CliftonStrengths to the whole organization. So I debrief with the team and then offer one-on-one coaching and support. We’re 50% of the way in terms of the “Name It” phase of the process. Developing strengths is not a rapid, overnight activity; it can be the work of a lifetime. So we’re investing time into having discussions about naming and claiming our talents. AL: You introduce strengths to them, and Q12, when they come on board? EC: We have a one-day workshop in which they meet our executives and travel and visit some of our properties and our customers. But part of that day is about CliftonStrengths and Q12. I present the group with their hardcover book and talk about our method of engagement through the Q12 and our genuine desire to learn about them. I want our new team members to know that we care about them as individuals before they enter a role. It’s important to establish that up front. AL: Are there special tools or activities that are your go-to tools? EC: My first resource is the book. AL: Can you say why the book matters, as opposed to purchasing a code? EC: I like giving somebody a tangible item, and then they can look through the book, understand the context and see whether they want to jump on board. That has been really effective; it sits on their desk, others ask them about it, I ask them about it. So the tangible nature of the book allows that to happen easily. But also the accreditation program and the resources with that are really superior and give the facilitator or coach a lot of items to choose from and experiment with. I have used the Theme Insights Cards -- these help with the naming and claiming. I often get asked for people to have a look at those. But also the Theme Dynamics Cards that people use to find out which words and facets of the talent resonate with them. But I also enjoy framing the five guiding principles. And for me, the one that’s most important is that you always start with positive intent. That’s how you create the safety. Some people might not be comfortable with their profile. I give people the choice to opt in, in a safe way, and I rarely get resistance. AL: What are the unique challenges and opportunities that exist in a not-for-profit space? What would you say to those in the not-for-profit space who are wondering if this would be useful to them? EC: The mission and purpose are strong in our organization; I’d expect to see that in other not-for-profits. You’re right about the challenge in terms of the financial component; what we have to balance is having the social and welfare heart but operate with a commercial mind, and operate the business in a way that is sustainable for the future. It is a difficult thing to balance, but using the Q12 and CliftonStrengths instruments helps harness the heart and soul of the organization and uses it to propel us forward. AL: Anything else that you want to say? EC: Understanding that the Q12 and the development of strengths is a long-term activity is really important, and it comes through conscious design and investment. And the information you can extract from these tools is a gift -- a powerful gift. And I would encourage people to commence that journey. And once you see the value, it creates further momentum. I’ve seen it personally over a long period of time with both of the tools, and that’s why I’m such a passionate advocate. Emma Cocilovo leads a team of specialists focused on the design, development and delivery of St George Community Housing’s people and culture strategy. This includes a full suite of end-to-end human resources (HR) advice, activities and support including strategic projects, recruitment, learning and development, leadership development, organizational development and change management. With a career spanning 18 years, Emma is a strategic HR professional and experienced facilitator and coach with experience in both government and corporate organizations. Before joining SGCH in 2015, Emma worked in strategic project teams at Sydney Trains, where she was responsible for implementing performance systems. Emma was previously employed by Commonwealth Bank, where her roles included organizational development, leadership development, workforce design and culture, and employee engagement. Emma is very passionate about employee engagement and strengths-based development and has been working with Gallup products for over 15 years. She is an accredited Gallup Strengths Coach and is currently implementing a program of CliftonStrengths at SGCH. Emma Cocilovo’s CliftonStrengths Top 5 are Communication, Ideation, Connectedness, Empathy and Positivity.